Prenuptial Agreements: Be Sure You’re Happy To Sign! There have been two noteworthy cases this summer relating to prenuptial agreements. KA v MA Prenuptial Agreement: Needs)  EWHC 499(Fam) concerned a couple in their mid-fifties for whom this was their second marriage. Both had pre-acquired assets, and the husband had 3 children from his previous marriage. The couple had one child together, born in 2004. They married in 2008. The prenuptial agreement was signed 3 weeks before the marriage. The Wife subsequently claimed that she had been ‘extremely uneasy about signing the agreement’ and that she was under ‘immense pressure to do so’. The couple argued about the agreements terms shortly before they signed it. In the financial remedy proceedings she sought to persuade the court that she ought not to be bound by the terms of the prenuptial agreement; and asked the court to determine her award on the basis of her (generously assessed) ‘needs’ instead. The court disagreed. It found that the Husband’s stance in insisting on the prenuptial agreement as a condition of their marriage did not amount to duress or exploitation of a dominant position. The parties were mature, consenting adults who had both been married before. The Wife fully understood what she was committing herself to, and she had rejected professional advice. The Court gave due regard to all the factors as set out in s25 of the Matrimonial Causes Act 1973, including the needs of the child of the family, then determined that the level at which a party’s needs are to be assessed, if not met by an agreement which would otherwise be binding, will depend on the circumstances of each case. Here the Wife’s needs were assessed on the basis of a 10 years’ continuous relationship, and the Court held that a fair outcome in this case in the assessment of both housing and income needs had to reflect the fact that the Wife had agreed to restrict the ambit of her financial claims in the event of divorce. In Versteegh v Versteegh  EWCA Civ 1050 a Swedish couple (living in England) signed a standard Swedish pre-marital agreement (committing themselves to a separation of property regime) the day before the wedding in 1993. They separated in 2014. In 2017 the Wife sought to argue (amongst other things) that the Judge should not have applied the pre-marital agreement to the financial settlement, because she had not received independent legal advice before she signed it. The Court of Appeal dismissed her appeal. The Court found that the Wife had a full appreciation of the implications of the pre-marital agreement, and she had even tried to transfer properties to her sole name during the marriage in order to mitigate its effect. The clear guideline from the Courts on this issue is that prenuptial agreements are likely to be upheld if the parties understood what they were committing themselves to. Having applied the s25 criteria to each case, if that then leads to unequal division, then so be it! 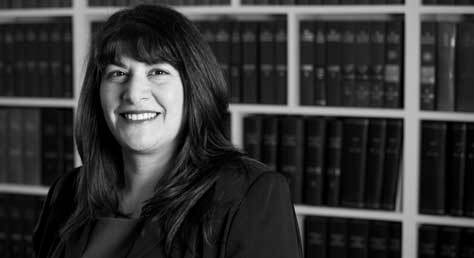 If you need help with a nuptial agreement, please don’t hesitate to contact me at a.soyer@wilsonllp.co.uk or for an appointment, call Mavis on 020 8885 7986.